Screen printing is a printing technique in which ink is pressed through a mesh screen onto a garment or substrate below. The mesh screen is first coated with a light-sensitive emulsion which hardens when it is exposed to a light source. Before exposing, a stencil is placed on the screen which blocks the light and prevents the area the stencil is covering from hardening. Ink is then allowed to pass through the spaces (which were covered by the stencil) and create the design on the garment . 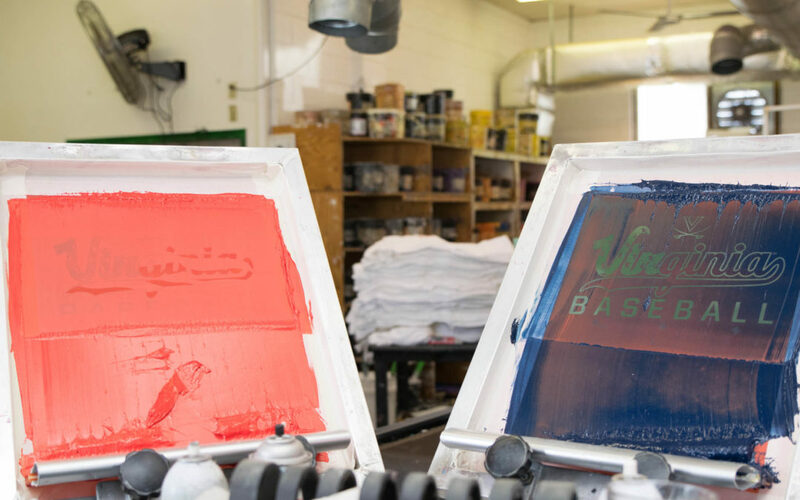 This article is the first in a series in which we provide simple explanations for all things screen printing. We’ll provide a step-by-step explanation (with pictures!) of the process of screen printing custom t-shirts, so you know exactly what goes into making our magical shirts. Click Here For A Screen Printing Quote! Thanks and enjoy! BRG Blogger Questions about Custom T-shirts, Screen Printing, Custom Greek Sorority and Fraternity Bid Day, Rush, or Frocket T-shirts? Email us or call 434.296.9746. Take a look at some of our great Custom T-shirt Designs!